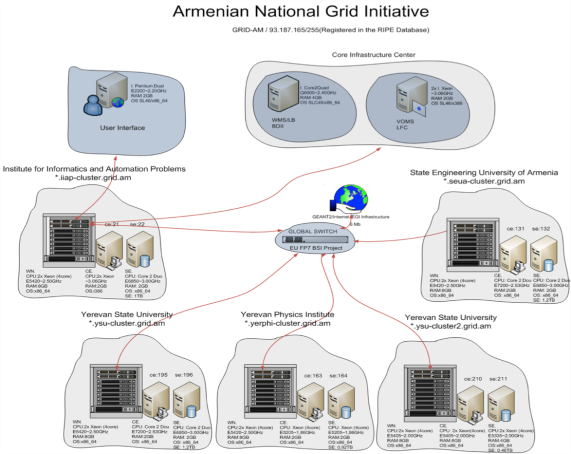 ARMGRID - IIAP coordinates the Grid infrastructure of the Armenian National Grid Initiative that represents an effort to establish a sustainable grid infrastructure in Armenia. 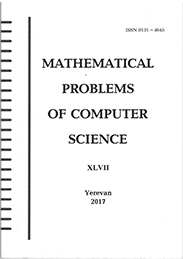 The computational and storage recourses are distributed in the leading research (NAS RA, Yerevan Physics Institute) and educational (Yerevan State University, State Engineering University of Armenia) organizations of Armenia. Apart from computing (more 500 cores) and storage resources, core Grid services, which enable seamless access to all resources, are provided to national users. The infrastructure is a part of the European Grid Initiative. Now the infrastructure supports different international virtual organizations, such as ALICE, ATLAS, SEE-GRID, ENVIROGRIDS.